In the spring of 1989, about a year after I graduated high school, I remained a die hard big block, V8 muscle car advocate. At that point my experiences in 440-powered Mopars had defined my automotive enthusiasm, which meant I was a big believer in the “no replacement for displacement” mantra. Then my dad commented he was going to the Dodge dealership in Boulder to look at a used Dodge Shadow. I distinctly remember telling him, “If you have to buy one of those, at least get a turbo version.” In my head imagined an underpowered compact car, struggling to maintain 55 mph on westbound Interstate 70 as it plodded from my hometown of Golden to the scenic overlooks on Lookout Mountain. 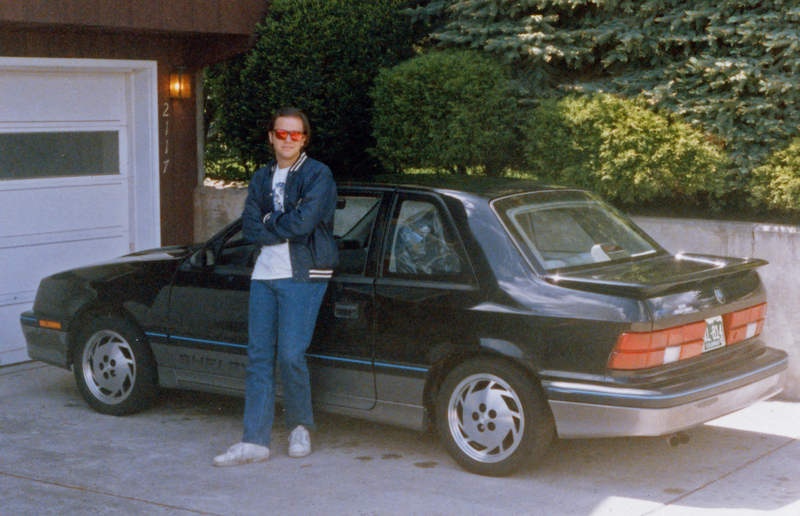 Turns out dad didn’t just buy a turbo Shadow, he bought a 1987 Dodge Shadow Shelby CSX. The car’s official name doesn’t actually include “Dodge” or “Shadow”. These cars started out at as 2-door turbo Shadows with 5-speed transmissions before being shipped to Carroll Shelby’s facility in California. Once there they were outfitted with an intercooled, turbocharged 2.2-liter inline-4 making 175 horsepower. They were also upgraded with stiffer shock absorbers, Shelby Daytona Turbo Z rear disc brakes and 15-inch alloy wheels with 55-series Pirelli tires. As this point they became a “product of Shelby America” as noted on the door sills. Only 750 were built in 1987, all of them black-and-gray with a blue pinstripe. My dad let me drive his “new” (to him; the car was 2 years old with 28,000-miles) Shelby CSX back from the dealership in Boulder, and within a few miles it had won me over. The car was quick and nimble with excellent brakes. It felt as fast as my 1970 Plymouth GTX, but with far better handling and stopping power. On my way back from the dealer I stopped by a friend’s house, where two die-hard Mopar muscle car fans lived. These guys had multiple vintage V8 muscle cars, including a 440-powered 1967 Dodge Dart. After giving one of them a ride in the Shelby CSX they demanded I run it against their big-block Dart. I agreed and we proceeded to run the cars multiple times. Every time the Dart would pull less than a car-length ahead for the first 50 yards before the CSX’s turbo engine reeled it in and pulled away. All of us were stunned. How could this modern-day, economy-car Dodge hold up against a 440-powered Dart. The answer, of course, was a combination of lighter weight, modern turbo technology and the thin, high-altitude air in the Denver area. Over the next few years my dad would use the CSX as a daily driver before selling it to me in 1992. At that time the car had over 80,000 miles on the odo and needed new front wheel CV joints and its air conditioning recharged. My dad replaced the timing belt just before I bought it, so I avoided that costly maintenance item. The car was remained quick, and over the next 2 years I used it to annoy V8 Mustangs and Camaros in the Denver, Boulder and Longmont areas. I also road-tripped it to Florida, Pennsylvania and Washington state. 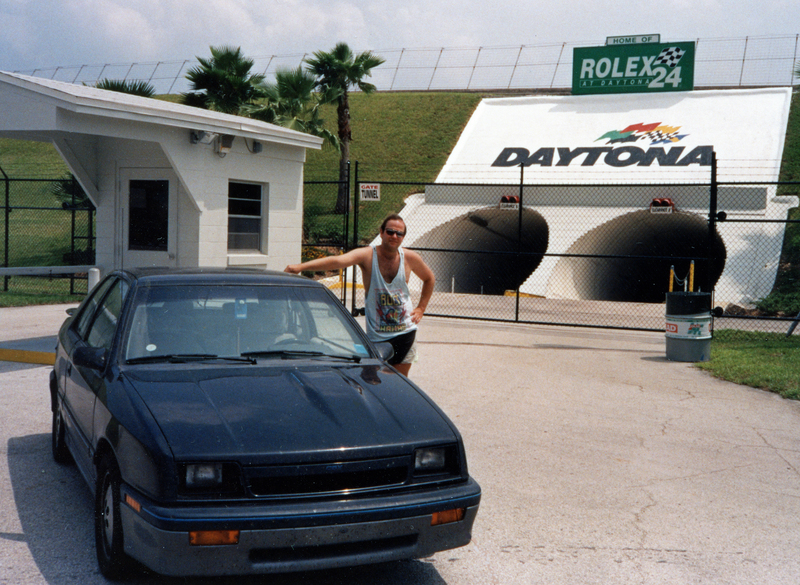 At 125,000 miles it was still going strong, but an even more interesting and unexpected high-performance Dodge crossed my path, and I let the 1987 Shelby CSX go.